​REGISTER for the next Bush School day at the bottom of this page. 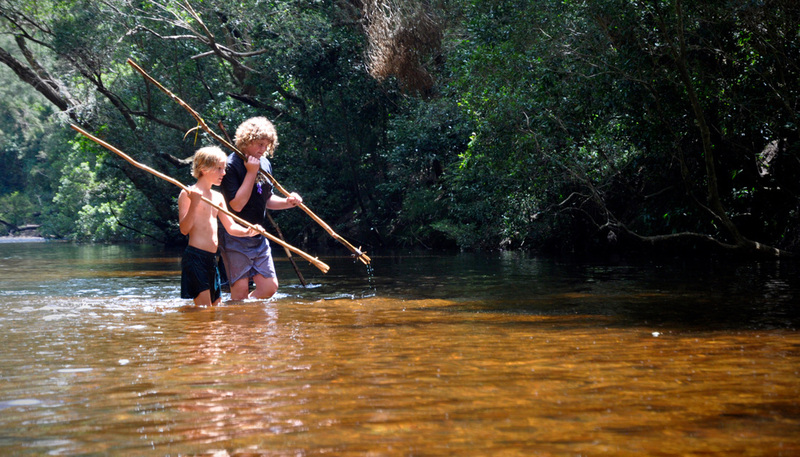 ​The Bluegum Bush School tribe meets each month. If you're reading this, you probably value a more holistic approach to education than schools can offer. Please note: your child does not have to be a homeschooler to come. All kids/teens welcome. We inspire, activate and focus the internal wisdom of each child, meeting them where they are at to catalyse their journey of growth, discovery, and self-empowerment, helping them to be more at home in the world. Once every 2-3 months a small group of kids and nature mentors head into the bush for the morning. Our Jervis Bay mornings for 5-14 years run from 9am - 12:30pm on Saturdays. Our Mongarlowe (Braidwood) mornings for 5-14 years run from 10am - 1:30pm on Sundays. Each session may include: stories to awaken curiosity; games to get things moving; a journey leading to more focused activity. We usually finish with some reflection on what we’ve experienced and learned, and a celebration of what we’ve achieved or what we’re grateful for. 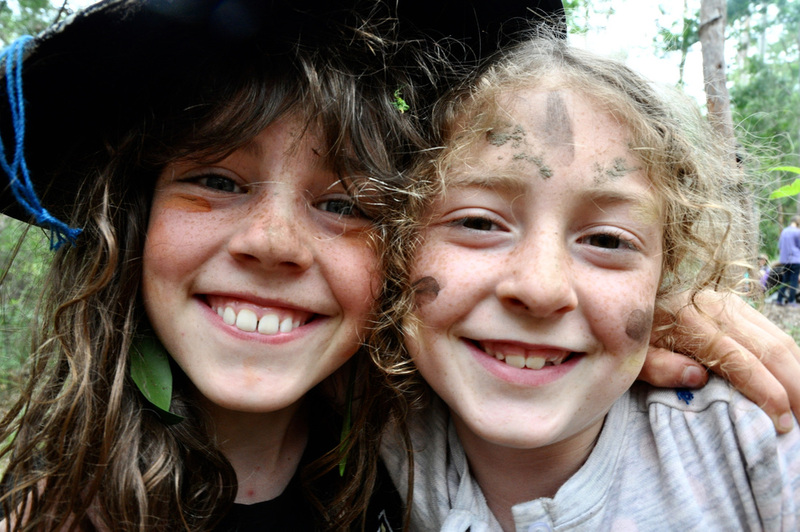 Expect kids to come back dirtier, full of stories and things to share, a bit more sparkly eyed and probably dog-tired. All kids/teens will need to bring plenty of snacks, ample water, sun protection, waterproof jacket, warm jumper, a comfy backpack to carry it all and suitable footwear. Various awesome bush locations around the Jervis Bay area, dependent on weather and activity. ​We also now have a bush school meet at Mongarlowe, near Braidwood. $65 per child/teen, for 3 or 4 hours (dependent on age group) of high quality mentoring. Our ReWild Curriculum fosters meta-skills such as awareness, curiosity and problem-solving; empowering kids to be fully and truly at home, not only in the wild, but also in the world at large - whether city, suburb, forest or savannah. - what does it mean to be at home in our bodies? - how can we discover more about the possibilities for movement and expression? - how can we nurture our co-ordination, strength, flexibility and agility? - what can the animals teach us about having a wild body? - what do you see in that piece of wood? - how can we choose and harvest in a way that actually helps the bush? - how can make the things we need to live in the bush; string, baskets, pots, shelters, fire sticks, stone and bone tools? - how can we help our hands to get cleverer at creating things from the natural materials we find? - how can we read the stories of the bush written in soil, bark, breeze, on leaf and limb, in cloud and bird call? - how does the landscape show us where to find water? where to find shelter? how to find our way? - what are the birds telling us? - when we look at a footprint, can we see the animal moving in our mind’s eye? - how do we navigate, identify, interpret the habitats and inhabitants of the bush? - how do we come to know the places and characters in this great story called Life? - how can we be like a quiet pool of water, so still that the reflections are crystal clear? - what happens when we watch, and wait and listen? - how can we tune our ears to the quietest sounds, the rustle of beetle, of earthworm, of distant birdsong? - how can we use our owl eyes, our kangaroo ears, our dingo noses to drink in the sensory symphony of the bush? - how do we know we are truly alive? - how can we cherish and and care for all things that live? - how can we feel, deeply and fully? - how can we share how we feel with others, and hear them in return? - how can we create with all our hearts the inspiring stories, the beautiful songs, the joyful games and dances, the special things that we most want to? - how can we bring what is inside us out into the world, as a gift for others? The Bluegum Bush School tribe meets each month. ​​Come and Join the Bush School Tribe!